Glenshire Drive before construction improvements. 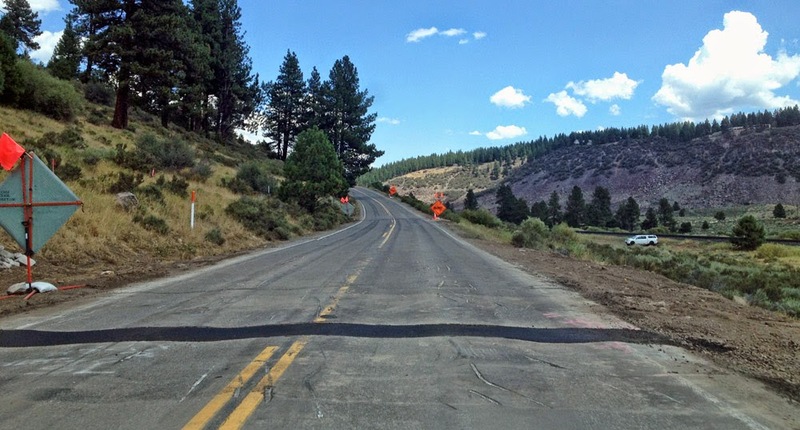 The Engineering Division of Truckee will receive bids for Phase 2 of the Glenshire Drive Bike Lane Project. Phase 2 will widen Glenshire Drive from Highlands Avenue to Donner Pass Road. The construction involves drainage improvements, new pavement, rock walls, and widening of the roadway up to 36 feet. The widening will allow 5 foot wide bike lanes in both directions. The estimated cost for Phase 2 is $3.4 million dollars. Expect lane closures and night-time shutdowns on Glenshire during construction. No word yet on an expected start date. Phase 1 of the Glenshire Drive Bike Lane Project was completed last year between Highlands Avenue and Berkshire Circle. The roadway improvements have made cycling much safer along Glenshire Drive. Cyclists had no shoulder to ride on before the improvements. All bids will be publicly opened and read on June 12, 2014 in the Truckee Town Hall Engineering Division Office.